Lloyd Blankfein doesn't think Brexit is going very well. The Goldman Sachs CEO took a shot at the U.K. on Thursday, singing the praises of Frankfurt in a tweet that underscores the economic impact of Brexit. "Just left Frankfurt. Great meetings, great weather, really enjoyed it. Good, because I'll be spending a lot more time there. #Brexit," The Goldman Sachs CEO tweeted on Thursday. Goldman (GS) plans to move hundreds of jobs from London to Frankfurt in order to protect its business as Britain leaves the European Union. The bank confirmed last week that it was leasing office space in the German city. Under EU rules, banks in any member country can trade freely across the bloc. Many global banks, including Goldman Sachs, use London as a springboard for their European business. Once the U.K. drops out of the bloc, the banks will have to establish offices and beef up their presence elsewhere in the union in order to continue their business without restrictions. 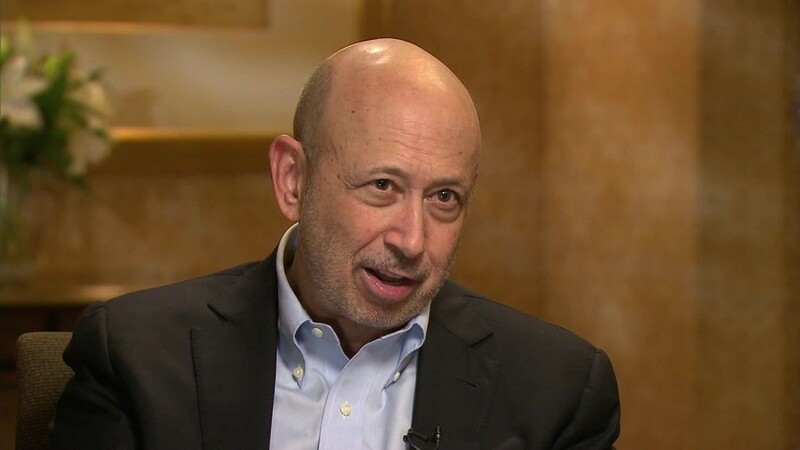 Blankfein previously said that Goldman was developing contingency plans to deal with the fallout. Brexit talks are currently deadlocked. Britain and the EU have failed to agree on key initial issues, and talks have not moved on to the country's future trading relationship. Blankfein has not shied away from controversy on Twitter, where he has posted only 20 messages. He previously slammed President Trump for backing out of the Paris climate pact, and weighed in on U.S. immigration policy.